Spend Labor Day Somewhere New! 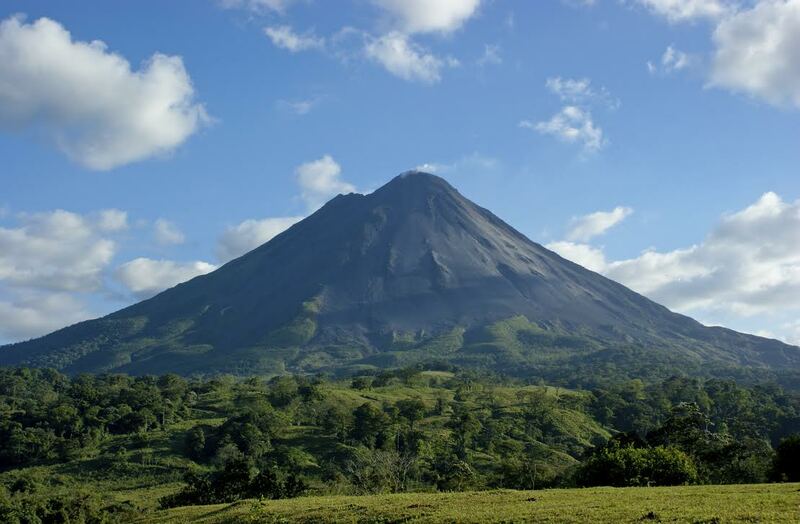 Visit Costa Rica and the Arenal Volcano! It’s time to step out of your comfort zone. Every year it’s the same old thing; you spend Labor Day eating hamburgers and hotdogs in someone’s backyard. Yippee! Another holiday and another cookout, just like Memorial Day and Fourth of July. Well, why not shake things up in 2014? Why not spend Labor Day somewhere new? Join AESU in Costa Rica! This Labor Day, we will be heading to Costa Rica and we would love to have you join us. Travel across this small but very diverse country on an adventure tour of wildly contrasting landscapes, from waterfalls and geysers to active volcanoes, like the Arenal Volcano. With AESU, you can experience all that Costa Rica has to offer for less than you are probably thinking. Formed some 7,000 years ago, the Arenal Volcano is one of six active volcanoes found in Costa Rica. There are also sixty dormant or extinct volcanoes within the country’s borders. 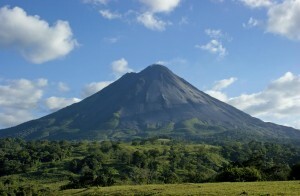 Although currently in a resting phase, Arenal has been Costa Rica’s most active volcano for the past 43 years. Up until about 2010, Arenal had produced huge ash columns, explosions, and glowing red lava almost every day. And at an elevation of 5,437 feet, Arenal looms large over the surrounding countryside. Because it is currently in a resting phase, you may be unable to see flowing lava and large plumes of ash when you visit. Still, scenic Arenal Volcano National Park (29,692-acres) is a favorite of tourists, offering rainforest hikes and canopy tours, canyoneering adventures, whitewater rafting, beautiful waterfalls, horseback riding, a plethora of trails, observational points, and so much more! If you have any questions about how to Visit Costa Rica and the Arenal Volcano without breaking the bank, please contact AESU by calling 800-638-7640 or fill out the contact form found on our website. And don’t forget to check out all of our great Travel Tips. This entry was posted on Monday, June 23rd, 2014	at 1:01 pm	. You can follow any responses to this entry through the RSS 2.0	feed. Both comments and pings are currently closed.